MOTHER 3 was released on the Japanese Wii U Virtual Console last year but no one really knew if it had undergone any changes from its original Game Boy Advance release. That changed last month, when some of the EarthBound hacker guys and I finally got to dig into the new game’s data! It’s assumed that this was changed to adhere to the company’s guidelines for avoiding epileptic seizures. I’m not sure why this change was made. All I can guess is that it’s similar to the reasoning for the other lightning change. The third and final change made involves one of the battle background image layers. It affects battles with the Top Dogfish and the blue mushroom enemies on the crazy island. Again, implementing this change required a decent amount of effort, so it must’ve been made for some good reason. 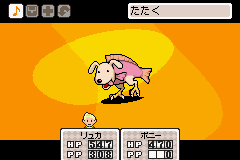 So, if you’ve ever wondered if the Japanese re-release of MOTHER 3 was different from the original release, now you know! Great to hear from you Tomato! Some interesting choice changes. I wonder if they released it here if it would keep these changes? I have to think they would. Wow, so those are all the differences? Do you have a way to do as thorough a check for MOTHER and MOTHER 2 on the Wii U Virtual Console? Or even MOTHER 2 on the New 3DS Virtual Console? DIO: We checked those too, Mother 2 has so many versions that I dunno what to call the Wii U version, but it and the New 3DS ones are the same. The Wii U version of Mother 1 is unchanged I believe. The EB Beginnings Wii U is one byte different from the prototype, but none of us know what that one byte does. My guess is that it’s copyright protection-related. I might be wrong on some of this as there are so many versions of the games on so many systems in so many regions now. But I believe this is correct. Perhaps some changes were made since the Wii U’s GBA emukator adds a darker color filter? 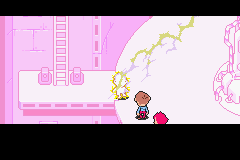 I think that the lightning change in the ‘PK Flash get’ animation was put so you can see better how the lightning strikes Lucas o.o That would be the logical reason, but who knows. Very interesting. I had suspected that Earthbound’s “dulled” battle effects were done in emulator rather than as a ROM hack, but I had no idea they went in and replaced emulator rendering of the music with recorded versions of the songs. Either they had trouble emulating the SNES sound hardware, or there were legal concerns since Sony provided the SNES sound hardware to begin with. Anyone who’s played Monkey Island 2’s special edition knows that replacing real time rendering with prerecording can cause issues. In that game, the music is meant to change instruments in real time from one location to the next while maintaining the melody, but in the remake, since it’s prerecorded, they had to basically just shut off each track and play the other, using a “jumping off” point in the overall melody to try and make the transition a bit smoother. I wonder if similar issues came up with Earthbound? Changing a single byte in EBB…. yeah, probably meant to disable copyright or at least trick it. Mother 3 seems to be one of the few examples of genuine changes. I could barely notice any change in the lightning myself. I thought the “quicker” lightning flashes were eliminated, but then I saw a few on the Wii U version too, so now I’m not sure what’s changed. Since the original game was already designed with Nintendo’s stricter “avoid triggering photosensitive epileptics” guidelines, I find it hard to believe such a subtle change would do anything to protect them. Coupled with those other changes though, I have to lean towards Chivi’s suggestion that it was all about enhancing visibility. I can’t even fathom why they would make such a minute change to that battle background. It’s already August and there is still nothing new on here. Welp, I’ve just added a section about these changes to The Cutting Room Floor’s page for MOTHER 3 (https://tcrf.net/Mother_3). For those who don’t know, The Cutting Room Floor is a wiki documenting unused content in video games and differences between the various versions of said game (if applicable). MOTHER 3 really seems like the least painful to check with only two ROMs to compare, while poor (lucky?) MOTHER 2/EarthBound has a whopping nine possible versions to compare. I’d imagine the MOTHER 1+2 version would be the most difficult one to compare, what with it being more of an actual port designed for different hardware than simple copying and pasting. – GBA: Adds Run Button and Translated Epilogue, No Time Machine, Some other stuff from NES Proto. – Wii U (EN): One byte difference from NES Proto, AP-related? 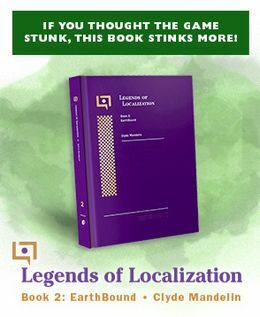 – SNES (EN): Localization with many differences. – Wii: Timed Demo in SSBB (JP only) never released otherwise. (Cheats can unlock the time limit) Unknown Differences. – Wii U (EN): Probably identical to SNES (EN), flash effect palettes aside. 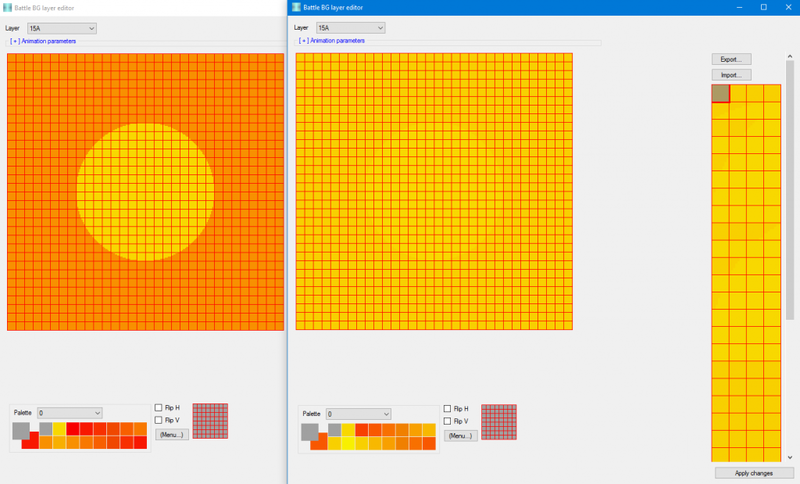 – Wii U (JP): Flashing effects and palettes.